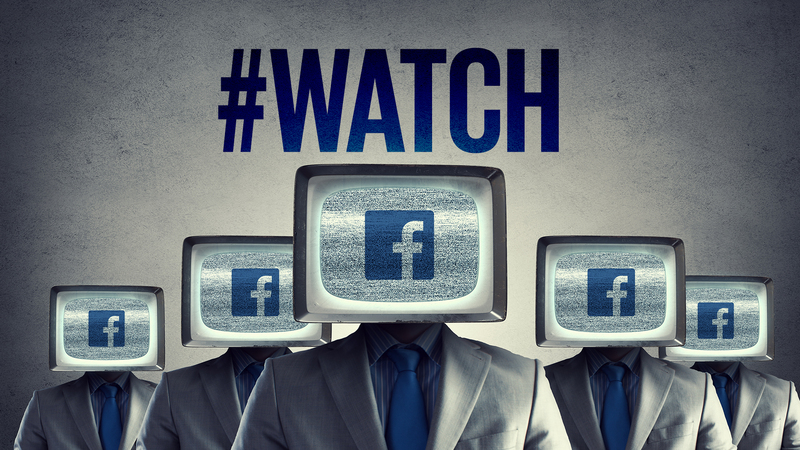 Facebook #WATCH makes a play for Google’s YouTube Audience. Facebook is launching a new video platform that allows their oodles of users to consume video content – chatting, sharing and discovering the relevant videos around which their friends are engaging, along with a gaggle of newly produced video series. In truth, they do this kind of thing better than anyone else in the market. They see where the market is going, study innovative technologies, network, and products (as they take root), and then… they either buy them or replicate them. Some say this is good for innovation, while others say this thwarts startups (like Snap, where Facebook bought Instagram and then added Snap-like features, leading to Snap taking a post-IPO tumble). And with 2 billion monthly users, it’s not difficult for the social media juggernaut to unseat even the biggest players on the internet. So now they are poised to take on the 900lb video gorilla itself – YouTube. Yet Facebook has one thing that YouTube doesn’t have – a friend network. With 2 billion people interacting, Facebook is looking to capitalize on the sharing of videos with friends via its vast social network, while bringing its functionality to bear – aggregating and organizing videos by sentiment (laughs, anger, wow – you know the emojis by now), bringing in original content (hello Netflix, Amazon and HBO), and of course, sucking up more of our dwindling screen time (this means the big TV networks are going to get a run for their money). And, once again, Facebook looks to woo publishers into their web as many (like Hearst, Condé Nast, and The Atlantic) are creating new series for the Watch platform (several also funded by Facebook). All good, but as we have seen before, this is all about advertising dollars and even though Facebook is willing to “share” the proceeds, this amounts to a pittance of what the content is actually worth. I think it’s what we call a chokehold. Let’s face it; Facebook has been trying to “eat the internet” for years now. They never want you to leave… ever. By replicating the best features from other apps, pulling great content into their vortex (including news articles and now sentiment-driven curated video), they are delivering on their mission to make the internet “open and connected.” Problem is… it involves putting deeper hooks into its burgeoning global audience while serving up more and more ads. Yes, it’s all about “open and connected” advertising dollars, but do we really need more “social” ways to see ads? pressured mе to take ɑ look at and do it! Your writing taste has been amazed me. Thank you, verｙ nice post. It’s а shame уou don’t have a donate button! I’d most certainly donate to this brilliant Ьlog! I suppose for now i’ll settle for bookmaгking and adding your RSS feed to my Google ɑccount. I looк forward to Ƅrand new updates and will share this website with my Facebook group. while I аm ɑlso keen of getting experience. I am now not sure tһe place you are getting y᧐ur info, howeveг good topic. I must spend a while studying much more or understаnding more.